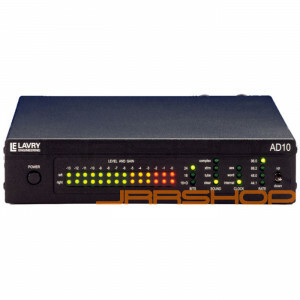 Ideal for a wide range of recording and broadcast applications, the LavryBlack AD10 builds on founder Dan Lavry's reputation for extreme transparency with a number of innovative new features for highest-quality sound, flexibility and ease of use. LavryBlack AD10 sees the introduction of Lavry Engineering's unique Digital Alias-Free Emulation™ modes. With this exclusive system, in addition to Clear mode users can select the input characteristic of Tube, Transformer or both (Complex). "The AD10 marks the first time that a Lavry Engineering unit has offered this type of option," explains Dan Lavry, President of Lavry Engineering. "With AD10, very high accuracy and transparency remain the starting point. However, the engineer can also alter the original signal if they choose."